Are you wondering how a small business can benefit from Facebook marketing? To learn about the opportunities for small businesses, I interview Ramon Ray for this episode of the Social Media Marketing podcast. In this episode, I interview Ramon Ray, the author of The Facebook Guide to Small Business Marketing. He’s also the founder of Small Biz Technology and the guy behind a great event called Small Business Summit. Ramon shares his tips and techniques when it comes to Facebook marketing. You’ll learn how to grow a larger following on Facebook and turn Facebook engagement into sales. When it comes to business, although Facebook is a great networking tool, Ramon believes that the most important thing any small business should do is start with a website and focus on email marketing. Ramon explains how Facebook having access to so much rich information makes it very simple for them to approach you and ask whom you want to advertise to. They are able to narrow it down. With Facebook, you can do this with a good degree of granularity, which works well for many people. Listen to the show to find out how marketing has changed from 10 years ago and how it’s a lot more economical now. Ramon lists three things that small businesses should do to grow a larger following on Facebook. Remember people aren’t necessarily on Facebook to buy, per se. They’re there to have fun. Many small business owners on Facebook don’t realize the interconnectedness among people. You’ll hear an example of how interaction can lead to more of your fans being drawn to your Facebook Page. Ramon believes that there is no other platform that allows you to create deeper engagement than Facebook does. When it comes to advertising a post, there are so many different ways to do it. Small business owners use Facebook as an engagement platform. Listen to the show to find out how Facebook can help you connect not only to individuals but their networks as well. Ramon states that although LinkedIn has some big, powerful groups, he believes the advantage that Facebook has goes back to friends of friends. This is where Facebook might have the edge. For example, with regards to LinkedIn groups, marketers talk about how to build the group and how you get the LinkedIn alerts. 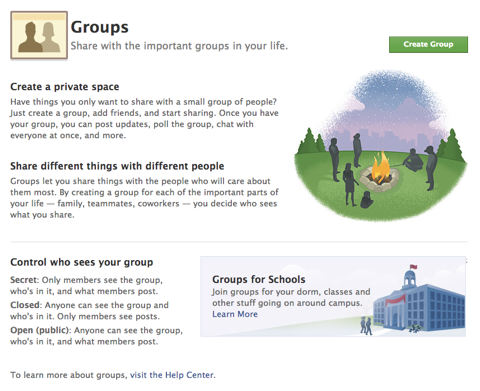 However, when you create a group on Facebook, you can make it private or public. In Ramon’s opinion, what’s nice is that overall, you are still operating in the realm of Facebook. Facebook groups can be public or private and can be a great way to share internal staff updates. When it comes to Facebook groups, you have to keep in mind that some are public and some are private. And Facebook has a very powerful search feature. Ramon talks about the rules of engagement for Facebook groups when it comes to business owners looking for opportunities. Don’t dive in there and start selling your products. Take the time to become a social friend of that group. When it’s your time to ask a smart question, you are going to get help. You’ll soon find out who the good people are. Groups are similar to life. In time, the good people rise to the top. 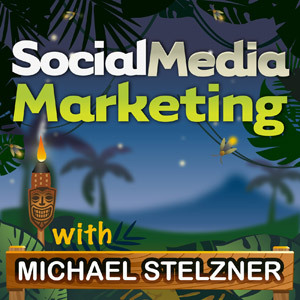 Listen to the show to hear how we use Facebook groups at Social Media Examiner. Facebook has a lot of tools that allow business owners to monitor and manage their activities on Facebook. One tool in particular stands out to Ramon—GroSocial. It’s a great tool if you want custom Facebook tabs on your site. GroSocial is an awesome tool for creating custom Facebook tabs. If you’re into live streaming, you can stream to Facebook with apps such as Ustream. Use Ustream to stream live for free on your Facebook Page. You’ll hear how there are many tools to enhance your own Facebook Page and extend your reach. Listen to the show to find out how many of the email marketing services allow you to embed email marketing subscription forms right into your Facebook Page. Ramon believes that engagement is critical when it comes to making sales. You’ll find out what you need to offer your audience to attract interest. Once you start to build your tribe, people will flock to your site for information. Once they get to know, like and trust you, you will be able to draw them into your funnel. It’s your chance to get information from them. You’ll hear about one of the strategies a lot of marketers use when it comes to social media and how to move people from social to your email list. Listen to the show to hear how at Social Media Examiner, we get people onto our email list and into the sales funnel. Ramon gives two examples of what businesses can do to “take Facebook offline” and how to bring people into a website or blog. Social plugins allow you to see friends who like the same website. Facebook enables you to show what fans’ other friends like. 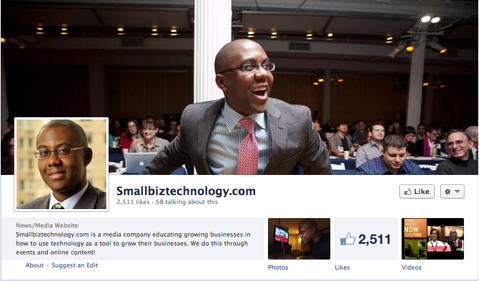 Smallbiztechnology use social plugins so you can see your other friends who like their Page. Eventbrite is an event-management service. With this app, Facebook enables you to log in and see who else is going to the same event. You’ll also hear how share buttons and the Like button can work for your business. Listen to the show to hear how the Facebook Comments WordPress plugin can work well when you are promoting a book. Ramon explains that Facebook is a powerful platform for business owners. You’ll hear an example of how a coffee shop in Manhattan has signs in the store for a customer-loyalty campaign and how it works for them and their customers. As a small business owner, you can drive more sales and traffic by getting social with no direct cost involved. 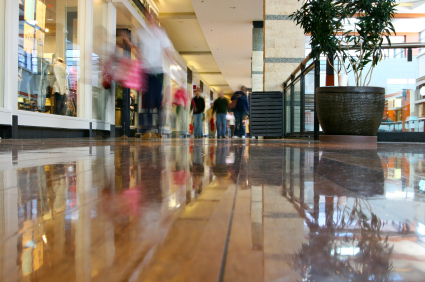 You’ll discover how being social can also drive physical traffic to your store. Facebook has a lot of options when it comes to driving local traffic. You need to get innovative and implement it correctly. You need to do anything you can to bring your customers closer to you. Listen to the show to hear an example of a how a pizza shop uses Facebook Offers to drive traffic to the store. Once you have a Facebook Page for your business, unsatisfied customers will have the ability to write something negative on your wall. Ramon says that this will happen, so expect it. When you have an irate customer who is dissatisfied with something, you need to reply. Make sure you reply in a kind and honest manner. Ramon believes that a positive comment for most people will disarm them. All they want is a solution. However, if they continue to complain, there are some tools that let you delete them. Remember, if you have an army of customers who like you and love what you do, they will respond in kind. You need to make sure you are monitoring your Facebook Page. It’s not a “set it and forget it” operation. Listen to the show to hear how Facebook is the simple path of least resistance for customers. For those who don’t understand what Google Analytics is, it’s an extremely powerful, free tool that you can embed on any website which will provide you with detailed information. At Social Media Examiner, we look at Google Analytics every day. For example, we track simultaneous real-time users on the site, the number of page views per post and where traffic is coming from, etc. You can do an enormous amount with it and setting it up is really simple. This is how to do it in non-video form first. If you search for Google Analytics Check List, you’ll be brought to Google’s actual step-by-step tutorial page. It will tell you everything you need to know. Below is an 11-minute tutorial on How to Set Up Google Analytics in WordPress. It’s very easy to follow. We’re only a few days away! I’ll have a lot to share with you in future episodes of what went on at this event. Connect with Ramon on his website. Check out Ramon’s book: The Facebook Guide to Small Business Marketing. Read more about Facebook groups and LinkedIn groups. Check out these third-party tools: GroSocial and Ustream. Take a look at social plugins and Eventbrite as tools to build into your website. Read more about Facebook Comments WordPress plugin. Discover more about Facebook for Business. Head over to Failure to Plan. Check out Google Analytics and the Google Analytics Check List. Watch How to Set Up Google Analytics in WordPress tutorial. Learn more about Social Media Marketing World. What do you think? What are your thoughts on Facebook marketing for small businesses? Please leave your comments below.